Use a Short/Local Expansion Adapter to connect UniStream™ to additional I/O modules on a DIN rail. Short Range and Long Range Local Expansion Adapter Kit for Uni-I/O™. 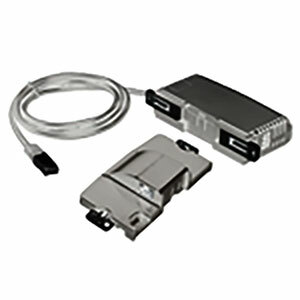 The Short and long Range Local Expansion Adapter Kits allow you to increase the number of I/Os connected to a single UniStream™ CPU by linking it to an additional row of Uni-I/O™ modules. • UAG-XKxxx – Short Range Local Expansion Adapter can be followed by up to 8 Uni-I/O™ modules. • UAG-XKPxxx – Short Range Local Expansion Adapter with an integrated power supply can support, by itself, up to 16 Uni-I/O™ modules.